Townsville, Australia — In a dusty, secluded corner of the Australian state of Queensland, a septuagenarian scientist is on an urgent mission to raise the alarm about the future of the planet. John "Charlie" Veron -- widely known as "The Godfather of Coral" -- is a renowned reef expert who has personally discovered nearly a quarter of the world's coral species and has spent the past 45 years diving Australia's Great Barrier Reef. But after a lifetime trying to make sense of the vast ecosystems that lie beneath the ocean's surface, the 73-year-old is now becoming a prophet of their extinction. "It's the beginning of a planetary catastrophe," he tells CNN. "I was too slow to become vocal about it." In 2016 and 2017, marine heat waves caused by climate change resulted in mass bleaching, which killed about half of the corals on the Great Barrier Reef, along with many others around the world. "Somewhere between a quarter and a third of all marine species everywhere has some part of their life cycle in coral reefs," he says. "So, you take out coral reefs and a third to a quarter of all marine species gets wiped out. Now that is ecological chaos, it is ecological collapse." One of the natural wonders of the world, the Great Barrier Reef is 2,300km long -- roughly the length of Italy -- and is the only living organism that can be seen from space. 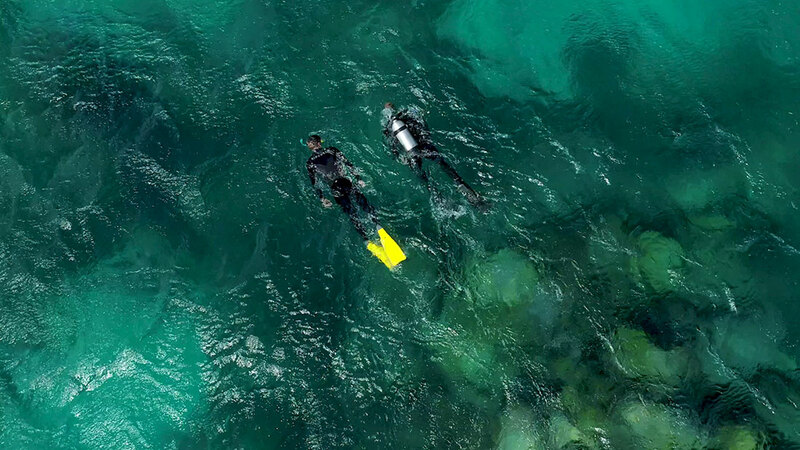 When Veron, a former Chief Scientist at the Australian Institute of Marine Science, first went diving on the vast reef in the early 1960s he felt like "his life started." "It was so much packed into a small area, so much life, so much activity, even noisy. It was really a metropolis, it was really humming and buzzing," he says. "It's a wilderness, it's dangerous, it's exciting." At that stage, he had no idea about what was in store for this vibrant underwater habitat. "I was a climate change skeptic, at first," he says. He realized that climate change was "serious" in the mid-1980s, and around 1990 he became "alarmed" about its impact on coral reefs. The Great Barrier Reef is home to more than 1,500 fish species. Veron says the mass bleaching events in the past few years -- and the prospect of losing one of nature's greatest treasures -- were a wake-up call for the world in the wider battle against climate change. "It's more than an alarm bell," says Veron. "It's an air raid siren." But the die-off came as no surprise to him. Back in the 1990s, he had predicted that climate change would destroy the reef, documented in several books he published, and in a 2009 keynote lecture titled "Is the Great Barrier Reef on Death Row?" at the Royal Society in London, where he was introduced by veteran British naturalist Sir David Attenborough. 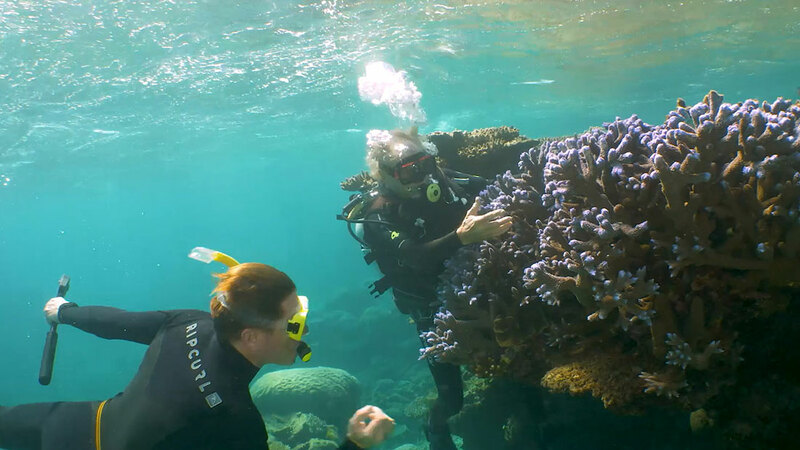 Attenborough described Veron as "one of the great authorities in the world on coral" who has "devoted himself to looking after and raising awareness about the dangers facing the reef." Among the Australian conservation community, Veron's reputation is also unmatched. "Charlie is a legendary figure in coral reef circles. There's no-one else in the world who has seen what Charlie has seen," says Richard Leck, the Head of Oceans at WWF Australia. "He comes with a level of experience and gravitas that few other people and organizations could match and that's where his enormous influence comes from." After the recent mass bleaching events, Veron dived in multiple areas of the Great Barrier Reef to see the damage for himself. "I was seeing it and feeling it and it was absolutely horrific, there's no other way to describe it," he says. Veron took CNN underwater for a first-hand look. 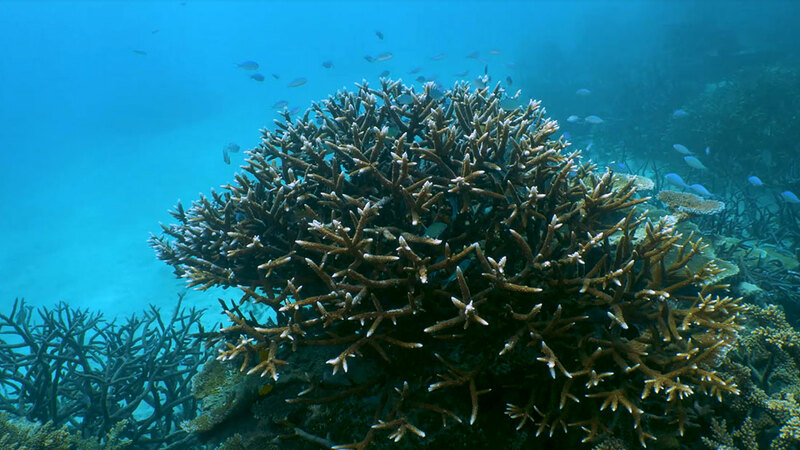 There are still large sections of healthy, thriving parts of reef that are teeming with life. 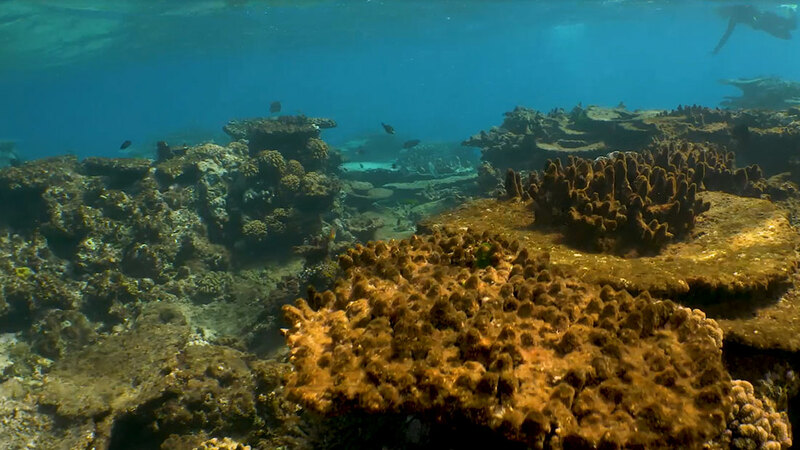 But there are also vast areas of coral graveyards that look like they suffered an underwater forest fire. Dead coral, covered in brown slime. In the summer of 2018, experts say no bleaching occurred, which has helped some of the bleached coral to begin the recovery process. But Veron says it takes about 10 years for corals to recover fully, and they simply don't have that sort of time. "For most years, say five out of seven years, there will be now mass bleaching on coral reefs around the world," he says. Veron says he hates to predict the future for the Great Barrier Reef, because it "can't be anything other than absolute massive death." His certainty is partly due to the fact that the oceans are only now seeing the impact of carbon emissions from the late 1990s, so Veron says even if we stop burning fossil fuels now, the oceans will continue warming for at least two more decades. Born John Veron, his teachers at school gave him the nickname "Charlie" after Charles Darwin, due to his obsessive curiosity with the natural world, as detailed in his 2017 memoir, "A Life Underwater." He has had a storied career in academia and research, becoming the first scientist at the Australian Institute of Marine Science (AIMS) and later its Chief Scientist. But he eventually left as, he says, he struggled with the bureaucracy of working for the government agency. "Charlie is a maverick, he is certainly outspoken and is certainly passionate," Leck says. "Charlie has risked his reputation, probably his livelihood, and people who don't want the status quo to change get upset about that." Now, Veron spends his days mostly working from his rural home “Rivendell' -- named after the refuge of the elves in the J. R. R. Tolkien's "The Lord of the Rings" -- near Townsville in Queensland. The sprawling concrete structure, which Veron helped to build more than 40 years ago, is immersed in nature. Wandering outside the house he points out multiple wallabies. His pets include dozens of fish, two dogs and a few geese. He lives with his second wife, 60-year-old British coral biologist Mary Stafford-Smith, who has co-authored and edited many of his books. Together, they are documenting and categorizing the world’s corals on their website, Corals of the World. Veron has three adult children: one daughter from his first marriage, and a son and daughter with Stafford-Smith. His face clouds over as he talks about the heartbreak of losing another daughter, Noni -- short for Fiona -- who drowned in a creek as a 10-year-old. He again turns gloomy when he talks about the family's plan to leave their beloved Rivendell, to move further north to an area which is higher and wetter, where they could one day live off the land. He says he wants to secure his family's future for a world that he believes will be ruined by climate change. "We have to have a refuge for our children when everything goes belly up," he says. "We've got no choice." This doomsday scenario seems extreme, but after decades of studying scientific evidence around this topic, Veron believes that this eventuality is a certainty. "We have got now also the phenomenon of a mass extinction event looming," he says, which he describes as a "man-made asteroid" that would compare to the dinosaurs being wiped out. The biggest driver of increased carbon emissions in the atmosphere is burning coal, he says, and that's something he thinks Australia is not doing enough to stop. "It's very political, because no country is as addicted to coal as Australia is," he says. "We're making a fortune out of coal." Australia was the world's largest exporter of coal in 2017 and although the country is signed up to the Paris Agreement on climate change, this week the Australian government withdrew its National Energy Guarantee (NEG) legislation -- which included targets for lowering carbon emissions -- saying there was a lack of support for the bill. Earlier this year, the Australian government announced nearly $400m in new funding towards scientific projects designed to help the Great Barrier Reef. Corals are colonies of small animals called coral polyps. There has been criticism in Australia about the tender process for the funding, as the money was given directly to a small charity -- the Great Barrier Reef Foundation -- which will administer the funds to different projects. The government insists it met the relevant guidelines, and says it welcomes an audit into the process. Critics also say that the money should have been spent on tackling climate change. "Coral bleaching is driven by carbon dioxide -- unless you stop pumping carbon dioxide into the atmosphere, it'll go on. It's as simple as that," Veron says. The funding won't be wasted, though, Veron says, as scientists will be able to create a sort of seed bank for corals, to preserve the species until the climate is stable enough to rebuild the reefs. The reef is a center of spectacular biodiversity. 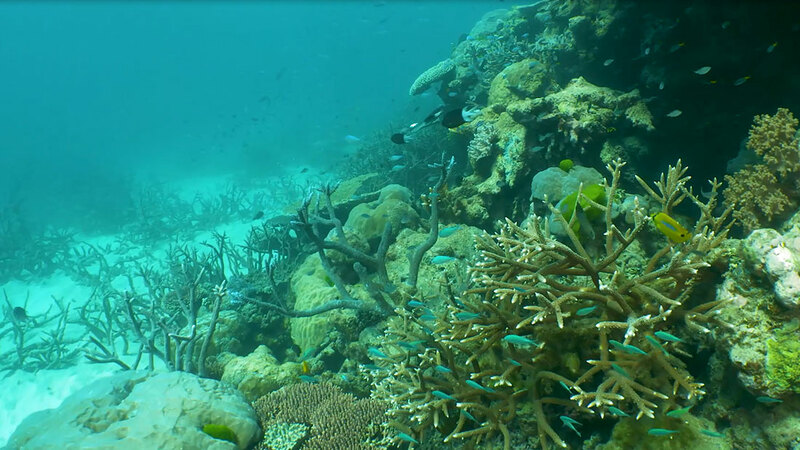 "What the scientists hope to do is to help nature along a bit if they can, and that is to do all we can to repopulate, help the corals, after the big carbon dioxide increase is over and it starts to come down," he says. For all his dire predictions for the future of the planet, he thinks humans were destined to take this path. "It's part of being human to not worry about the long-term future," he says. "We're genetically programmed like that ... we just don't think ahead."